The View 38002 is Arlington and Lakeland’s free community newspaper, published eleven times a year by Arlington Publishing LLC. Distribution: 11,000 copies, serving readers and businesses in eastern Shelby County, Tennessee and the greater Memphis metropolitan area. Founded: In 2011 by Edina Nuhic, purchased in April 2013 by two enterprising Arlington residents, Terry Louderback and Iggy Collazo. Mission: To inform, educate, and connect the residents of suburban and rural Shelby County and to demonstrate ethical and sustainable publishing practices for future generations of news consumers. Questions about news content can be directed to Terry Louderback at (901) 451-9213 or editor@theview38002.com Questions about advertising and distribution can be directed to Iggy Collazo at (901) 848-4092 or ads@theview38002.com. The View 38002 believes in correcting its mistakes. If you believe there in an error in advertising or news content, please contact us. The View 38002 welcomes reader submissions of photos, calendar items, feature articles, news briefs and Letters to the Editor. Items can be submitted by mail, fax, email or Facebook post. Publications of submissions is not guaranteed. All submissions become property of The View 38002 and will not be returned. We will not publish professionally-taken photographs without a copyright release from the photographer. We will not pay for information or interviews. 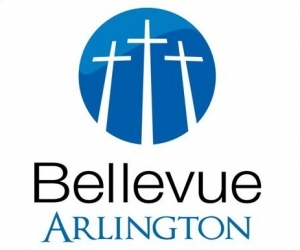 Unless otherwise noted in editorial content, the opinions expressed in The View 38002 are the opinions of the principals of Arlington Publishing LLC. Viewpoints expressed in advertising are the views and opinions of the advertiser alone. The View 38002 is published eleven times a year by Arlington Publishing LLC. Arlington Publishing LLC is an independent publishing company dedicated to providing community news and information. No portion of The View 38002, printed or electronic, may be reproduced in whole or part by any means, including electronic retrieval systems, without the written permission of the publisher. All Rights Reserved. © 2014.